Energy company TransCanada is using the investment dispute settlement mechanism in its trade agreement with the US, to sue the American government over President Obama’s decision to cancel the Keystone XL tar sands pipeline for environmental reasons. Similar provisions exist in TTIP and CETA, the EU’s trade deals with the US and Canada, writes Laurens Ankersmit, meaning the bloc could be at risk of similar lawsuits. Laurens Ankersmit is a lawyer with ClientEarth, an organisation of activist environmental lawyers. TransCanada is suing the US after Obama rejected its Keystone XL pipeline because of concerns over oil spills and the higher emissions easier access to oil from Canadian tar sands would bring. The claim, brought under the North American Free Trade Agreement (NAFTA), is worth $15 billion. The EU-Canada Comprehensive Economic and Trade Agreement (CETA) is close to its conclusion. This trade deal contains the investor-state dispute settlement (ISDS) mechanism TransCanada is using under NAFTA to bring its case. If CETA goes ahead in its current form, lawsuits from companies like TransCanada will not be far behind. Under NAFTA, foreign investors can sue governments for compensation if their actions breach investor rights. However, these provisions have been interpreted broadly and are increasingly being used to challenge government policy on the environment, worker protection and other public interests. ISDS in NAFTA has been used by foreign investors to challenge a ban on MMT in fuels, a ban on hazardous waste exports, and the rejection of a permit to expand a toxic waste facility. In the Keystone XL case, TransCanada is suing because it believes that the US government rejection was “arbitrary and unjustified”. The claim is based on no less than four investment protection provisions, and says the US acted arbitrarily by making a “symbolic gesture” in the fight against climate change. Canadian investors have the right to sue EU governments under CETA. The current investment chapter in CETA not only contains ISDS, it also provides for similar investor rights as under NAFTA. All four grounds relied upon by TransCanada can be found in CETA. Under CETA, a Canadian investor in the EU may sue for a breach of national treatment, most-favoured-nation treatment, unlawful expropriation, and a breach of the fair and equitable treatment standard. The Commission has only marginally addressed past excesses, by providing a definition of fair and equitable treatment and indirect expropriation. These definitions are, nonetheless, to a large extent in line with existing practice in under investment law and are not a significant departure from NAFTA. In response to significant pressure from the European Parliament and civil society, the European Commission has made a proposal to reform ISDS called Investment Court System (ICS) in the context of the US-EU Transatlantic Trade and Investment Partnership. ICS might potentially replace ISDS in CETA. While the ICS proposal does improve the selection process of arbitrators, it is substantially the same system. Canadian investors may still bring claims similar to those of TransCanada against the EU or its member states. In fact, ICS still contains the four investor rights TransCanada relies on, in a wording that is almost identical to CETA. ICS provisions protecting the ‘right to regulate’ will be insufficient to protect EU and member state decision makers against claims like TransCanada. Article 2.1, for instance, only grants parties the right to regulate “necessary” to achieve “legitimate” public policy objectives. This gives arbitrators ample room to find government actions in violation of investment obligations, even if those actions seek to protect public interests such as the environment – something they have done in the past. ICS and ISDS in the Canadian trade agreement do not require foreign investors to exhaust domestic remedies or explain why they are not going to a domestic court to resolve a dispute. This means a foreign investor is not required under CETA to go to domestic courts first and can choose to immediately bring an investment claim. ICS merely requires a foreign investor to drop a case at a domestic court “concerning the same treatment” as the claim brought under ICS. In the Keystone XL case, such a clause could potentially require TransCanada to drop its domestic suit against the US government on the constitutionality of the rejection. However, much depends on the interpretation of that provision as it may exclude cases other than claims for damages. What is more, the clause could even deter investors from using domestic courts, undermining their legal power. Sidelining the powers of EU courts (which include national courts) is one of the key legal problems ISDS and ICS face under EU law. A controversial issue in investment law is compensation for (indirect) expropriation. CETA uses a high standard of compensation, because it requires governments to pay ‘prompt, adequate, and effective’ compensation which ‘shall amount to the fair market value of the investment at the time’. Under NAFTA, compensation should be ‘equivalent to the fair market value of the expropriated investment immediately before the expropriation took place’. These standards go beyond that of ‘appropriate compensation’. The latter standard is more flexible and allows arbitrators to take into account other factors beneficial to governments, such as unjust enrichment by the investor and the ability of governments to pay. Under CETA, Canadian investors will therefore be entitled to the highest standard of compensation. The Keystone XL case highlights the risks CETA in its current form brings for the EU and member state governments. 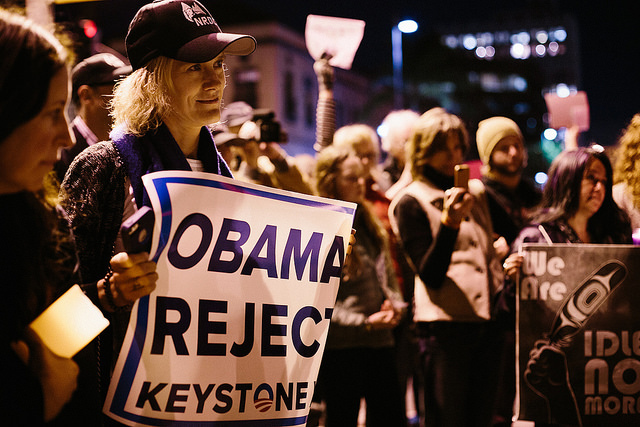 Lawmakers must address its fundamental flaws to protect governments’ freedom to take important public policy decisions, just as the US government’s did over Keystone XL.